The University of Mississippi Green Fund provides financial support for sustainability projects on campus. Faculty, staff and students may submit sustainability project proposals for funding. The UM Green Fund Committee then selects proposals for funding once a year–in November. 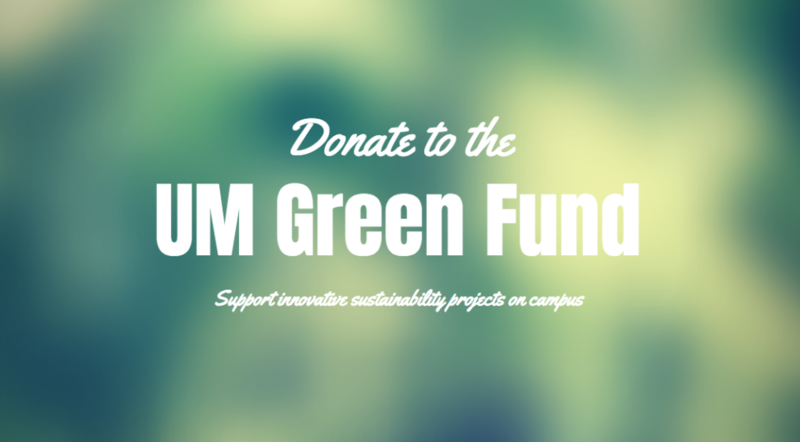 The UM Green Fund is a separate fund from the Office of Sustainability. As such, projects funded by the Green Fund are not only written by faculty, staff and students, but are also supported by community donations. Anyone may donate to the UM Green Fund. Students may do so through their MyOleMiss account. Faculty and staff may do so through the UM Foundation. The university matches all donations.